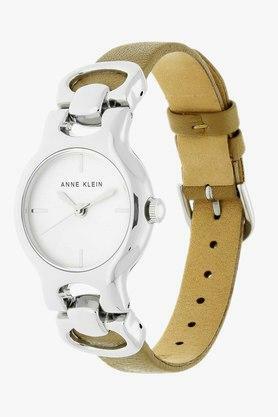 Be timelessly elegant with this analogue watch from Anne Klein. 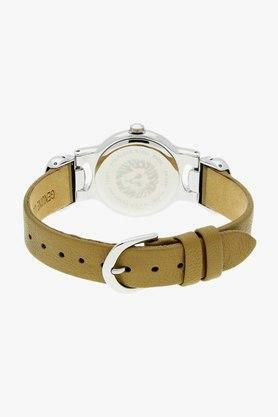 It exhibits a classic round dial for an elegant appeal. The leather strap in a smooth finish offers an enduring fit. Experience the smooth functioning of this analogue watch from Anne Klein. The watch is long-lasting and light in weight too with 2 years of warranty period. Time to make this unique product yours soon.